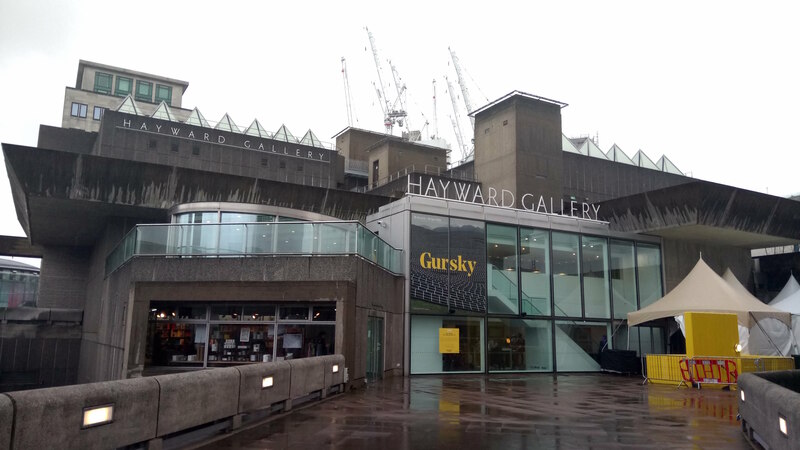 After a two-year shutdown for a serious makeover, the Hayward Gallery needed to come back big. The architects delivered, and so does the show that opened this week (until 22 April)— an epic retrospective of Düsseldorf-based photographer Andreas Gursky. Gursky is known for huge photographs that present a bewildering amount of objects, features or people that can create stunning continuums but are simultaneously detailed in fascinating high resolution. A typical shot asks us to bridge our sense of scale from the vast vista to the close-focus, and it’s a stimulating experience. There’s plenty of that here, but there’s a lot more to his work. It’s all at the Hayward. In his early works, his hallmarks are already emerging. We see big landscape shots, such as Dolomites, Cable Car (1987), in which the red vehicle in question materialises magically from cloud, a tiny entity compared to the massy mountains, but sharp. Then there’s the populations of same-but-different things. Later, they will be so numerous and dense that they will create textured visual fields, but in Krefeld, Chickens (1989), there aren’t that many chickens and they spread sparsely across merely a field of dirt between fences. Gursky is a technician, and something big happened to his toolbox that would take his vision to new levels – the switch from analogue to digital. In 1992 he first used digital post-production. Interestingly, a 1995 photograph of the Kodak building in Hong Kong coincides with the transition. It also marks him out as an exceptional architectural photographer. A complete contrast to Montparnasse is Toys’R’Us (1999), in which Gursky brilliantly delineates the blankness of big-box warehousing. That urban typology is, in turn, a complete contrast to the diversity of the dense sea of houses in Tokyo (2017). Look closely and you’ll see that some are blurred in the foreground, as you’d expect from the viewpoint of a passing train – but look closer still and patches further out are blurred too. When constructing this image, Gursky has built in something not quite logical. He’s questioning the authenticity of what appears to be representative documentation. Tokyo is in the upstairs gallery, which is open to natural light. It’s a good point to take a break from Gursky and point out a much-needed improvement in the Hayward’s makeover by architects Feilden Clegg Bradley — the opening up of the upper gallery’s previously claustrophobic covered ceiling. The sixty-six pyramids that stand on the roof above have been renewed and allowed to serve their purpose as skylights. Elsewhere, the whole venue has been restored to a calm brutalist splendour, faithful to the original design by London County Council architects. That’s something that Gursky appreciated- ‘it was clear to keep the staircases and the concrete walls’, he said of the installation. Back in the feast of photographs, his fields of similar, repeating entities range from traders on exchange floors in Tokyo or Chicago to solar panels carpeting rolling hills in the simply surreal Les Mées (2016). In Kamiokande (2007), it is photomultiplier tubes which look like like gold buttons, arrayed around the walls of the Super-Kamiokande Neutrino Detection Experiment one kilometre beneath a Japanese mountain. In this extraordinary image, the scale would be impossible to grasp were it not for two men in rubber boats inspecting them at the bottom of their shaft. 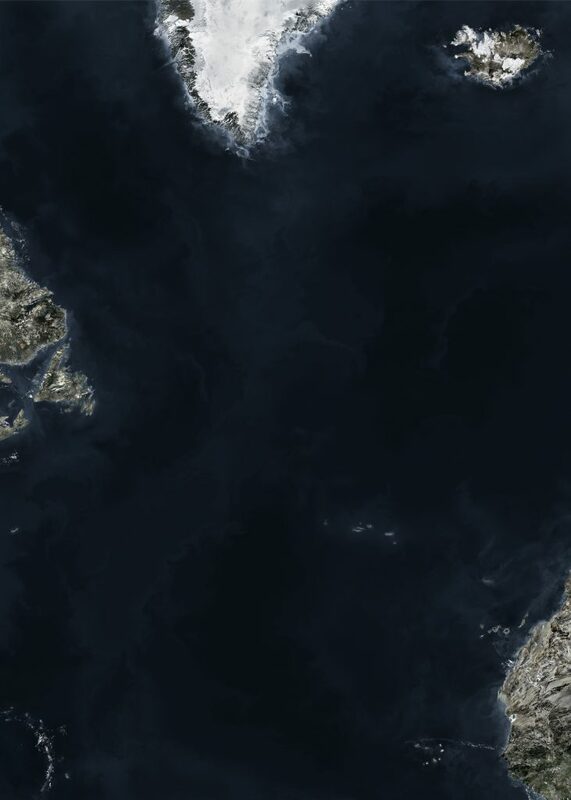 In this show, Gursky handles scales from a stretch of carpet to the Atlantic Ocean, the latter in a 2010 work called Ocean II seamlessly constructed from images taken by geosynchronous orbit (at 35,000km, far higher than most satellites). At the Hayward, he said that ‘each image represents a world in itself’ – here that approaches the whole world. One thing I didn’t expect from Gursky was personal portraits, but Review (2015) is one of the most surprising multiple portraits I have ever seen — not least because we don’t actually see any faces. It shows the backs of the four German chancellors’ heads — Schröder, Schmidt, Merkel and Kohl — looking at the red expanse of a Bruce Neumann work. And yet, each suggests character. Tell-tale smoke rises from chain-smoker Helmut Schmidt — is Merkel looking at it with disapproval, while Schröder watches? 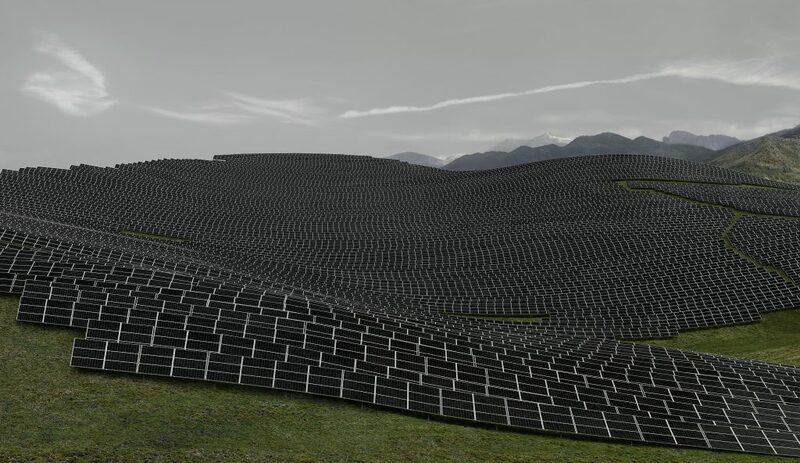 This is clearly a fiction — but, as Gursky asks elsewhere, are not all his works to some extent? 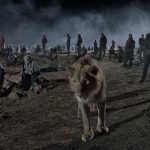 In another meticulous, theatrical composition, he arranged figurative statues and a performance artist to create an image of a fictional show in a brutalist gallery in the Ruhr. The Hayward have placed black strips along the floor about half a metre from the works, which warn us not to step too close to them. It seems un-necessary since the prints are behind glass. Perhaps, if we got real close, we could find tell-tale clues of where images have been stitched together, but would it matter? 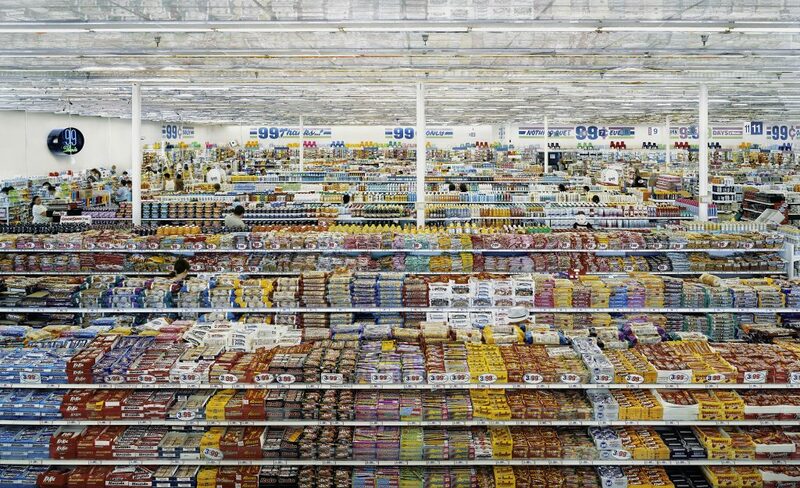 I doubt it anyway, because Gursky’s mastery of post-production is so rigorous. With his sense of composition, it enables him to deliver visions that extend vision itself, and challenges our minds to process them. To get the big picture – and get lost in lots of big pictures – go see this incredible show. 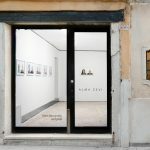 This entry was posted in Art Reviews., Art Stuff London, Cool art stuff not to miss and tagged Andreas Gursky, Hayward Gallery, Photography, Southbank Centre. Bookmark the permalink.